PDCo. had five dances make it into the Ruby Grand Finals! In May, PDCo. members competed all 45 of their competition dances at Showbiz National Talent Competition and received numerous high score awards! Congrats to "Sky Full of Stars", which won 1st overall teen large group in the Ruby division. Maura won runner-up Ruby Petite Miss Showbiz, Jalyn won Ruby Miss Showbiz, and Becca won runner-up Diamond Miss Showbiz. Awesome job to all of our dancers! Becca and Alyssa won 1st overall senior duo/trio for the second time this season with their contemporary duo, "The Edge". Our PDCo. Junior soloists delivered fabulous performances at Groove National Dance Competition! Congratulations to Becca and Alyssa for winning 1st overall senior duo/trio for "The Edge", Becca who won 1st overall senior soloist for "Landfill", and Jaelyn who won 1st overall junior soloist for "Waking Up"! PDCo. members competed at BravO! National Dance & Talent Competition and delivered awesome performances demonstrating their technique and showmanship. Maura and Natalie competed their musical theatre solos for the very first time, our petite small group "Orphans" won the Encore Level Entertainment O!ward, and Alyssa won the title of Miss BravO! Wonderful job to all of our PDCo. 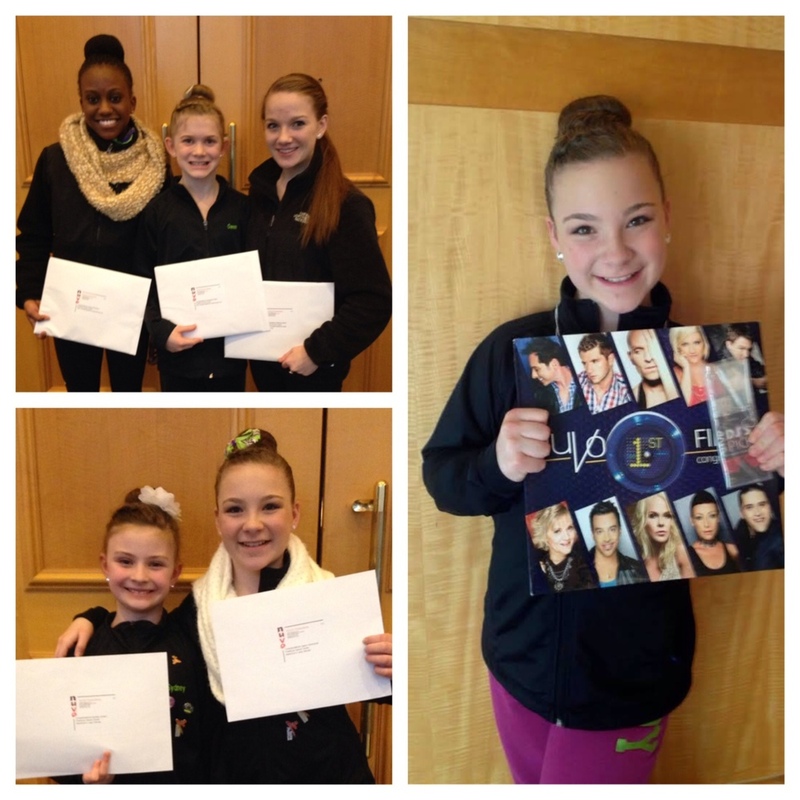 dancers who competed last weekend! PDC students attended NUVO Dance Convention and Competition Feb. 27th- March 1st and took class from renowned choreographers in the industry. Congratulations to Jaelyn for receiving a DJ's Pick and 1st Overall Junior Soloist for "Waking Up", our BreakOut Artist finalists Becca (Senior), Alyssa (Teen), and Gwen (Mini), and Stand Out scholarship recipients Sydney and Jaelyn. Awesome job girls! Come dance with us this summer! Our schedule for summer classes is now posted on the website! Registration will be held at the studio from 6-8 PM this Thursday and Friday. Classes will begin Monday June 23rd. *If you are a PDC student and would like to audition for the Company you MUST take classes over the summer. If you are new student interested in joining our Company we encourage you to attend classes this summer even if it is on a drop-in basis.